This 1935 Studebaker Commander Model 1B Roadster is owned by George Rohrbach of Center Valley, Pennsylvania. George writes that 1935 was the last year that Studebaker produced a roadster, which is basically a sporty convertible. Interesting features include a rumble seat and a rear mounted spare. The 1935 Commander used a lower horsepower version of the 250 cubic inch straight eight cylinder engine used in the 1935 President. George bought his car last summer and drove it home from the auction. The car is a low mileage original except for a 1950's repaint. George is the owner of Highspeed Motors which specializes in 1930's and 1940's Studebaker parts and literature. 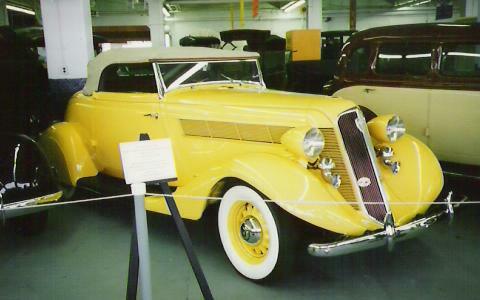 I photographed a similiar 1935 Commander Roadster in the Studebaker National Museum when I visted there in August 1994. Bill Junge, whose 1951 Champion Street Rod was the July 1997 Stude of the Month, sent in this picture of a Custom Lowboy Convertible with Cadillac style rear fenders. Studebaker did not make any production convertibles from 1953 to 1959. This is a pity because the sleek "Loewy Coupe" body makes a great looking convertible. This has not been lost to customizers and street rodders, and a number of convertible conversions have appeared over the years. The example above goes far beyond just removing the roof. This cool custom features chrome wheels, chrome side exhaust pipes, twin spotlights, and a full louvered hood. 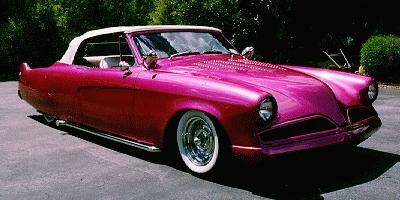 One has to wonder, if custom car builders can make Loewy convertibles, why didn't Studebaker make any? Bill Junge also sent in this picture of a Custom Bullet Nose Studeolet. 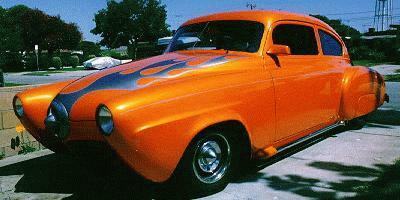 This car was created from a 1950 Chevy Fastback and the front end of a 1950 Studebaker. I once owned an old Chevy Fastback, but it sure didn't look like this. The owner of the Studeolet is Don Atwood of Hawthorne, California. Thanks to Bill for sending in these pictures. This section will appear from time to time when readers of this page send in pictures of Cool Stude Rods. 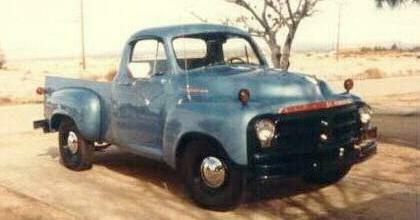 Donna Stewart sent in this picture of a neat 1955 C Cab Pickup. The wide "Studebaker" name plate across the hood was unique to 1955. This was the first year that a V8 was available on Studebaker pickups. The following year saw the introduction of a large fiberglass front grille. 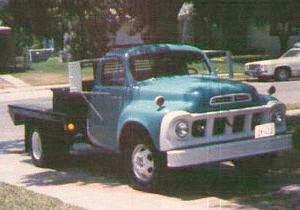 This grille was used into the 1960's as can be seen on Gerald Kuykendall's sharp 1961 C Cab one ton flatbed truck. 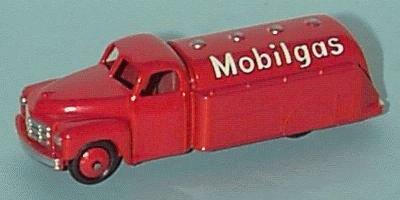 Dinky Toys issued this Studebaker Petrol Tanker in several variations. 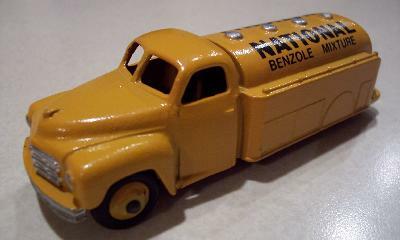 The example above of the "National Benzole" version is from my personal collection. There were also "Mobil," "Castrol," "Texaco," and "Esso" versions. To see more toy Studes, visit my Studebaker Toys Home Page.